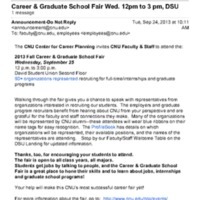 Flyer with a list of representatives who will attend the career day. List of representatives that will be at the event as well as event time and location. 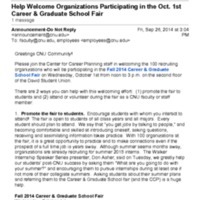 An email announcement of the 2013 Fall Career & Graduate School Fair on September 25, 2013.